What a difference a spin-off makes. 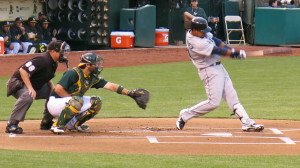 Barely a week after Major League Baseball’s 30 team owners approved the spin-off of BAM Tech, the streaming technology arm of MLB Advanced Media, reports surfaced that the league is drafting deal papers with Fox Sports to extend authenticated in-market streaming rights to Fox’s 15 regional sports networks (RSNs) beginning with the 2016 season. Like most major sports leagues, MLB controls streaming rights for all of its teams’ games and game-related content. The league sells a high-end package of out-of-market games through MLB.com, but only the Toronto Blue Jays currently offer in-market streaming. The league and U.S. RSNs, led by Fox, have been negotiating over in-market streaming rights for years, but the league’s insistence that all streams be hosted by MLBAM –officially to ensure stream quality — has long been a roadblock to any deal because it would require Fox’s pay-TV affiliates to share subscriber information with the league during the authentication process. Under the deal now being finalized, according to the reports, Fox will handle authentication and fans will be able to access the games through their local RSN’s website, via the FoxSportsGo app, or through their service provider’s TV Everywhere app.